Su Everett is the programme leader for non-medical prescribing courses and module leader for the V300 independent prescribing course. Her speciality is sexual and reproductive health, and she has written widely on this area particularly contraception. She teaches sexuality and sexual health and works clinically in this area as a senior nurses practitioner. Her PhD is on introducing sexuality and sexual health into the undergraduate nurse programme and the attitudes nurses have to this area and the development of professionalism and the development of non-judgmentally in nursing. She is a member of the RCN steering committee on sexual health and has previously been a forum chair, she is the UK nurse representative on the Faculty of sexual and reproductive healthcare journal and Advisory Contraceptive Group, and is a reviewer for the Journal of Clinical nursing, and National Institute for Health Reseach. She is a Senior Teaching Fellow, RGN, RM. BSc (hons) psychology, Masters in Sexual Health and Education, PG cert (HE). ENB 900, 998, A08. Independent Prescriber. 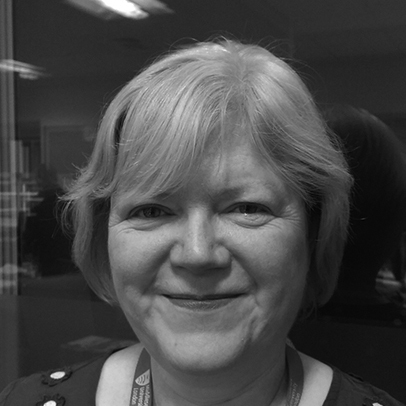 Su Everett is the programme leader and Module Leader Non medical prescribing, she teaches contraception and sexual health. She is the clinical link for the Archway Sexual Health Clinic, Mortimer Market Clinic and Margaret Pyke Clinic. Su has written extensively on contraception and published three text books on contraception, the lastest published January 2014 with Routledge called Handbook of Contraception and Sexual Health. She is currently writing a new edition and has just written a book on Assessment with Aine Feeney. She has been the Chair of the Sexual Health Forum, and on the Committee for the London Society of Contraception and Sexual Health. She is currently on the Editorial Board for the Faculty of Sexual and Reproductive Healthcare, and a member of the Advisory Group on Contraception. Su Everett is currently undertaking a PhD on Sexuality and Nursing and the attitudes of nurses on this area and the introduction of teaching on this area on undergraduate nurses. Su has written extensively on contraception and published three text books on contraception, the lastest published January 2014 with Routledge called Handbook of Contraception and Sexual Health. She has been the Chair of the Sexual Health Forum and has worked on RCN committees for LARC, and is currently on the Committee for the London Society of Contraception and Sexual Health, she is also on the Editorial Board for the Faculty of Sexual and Reproductive Healthcare. Su has worked with the Clinical Effective Unit to devise current guidance on contraception used within the UK. Committee member of Centre for Critical Research in Nursing and Midwifery.